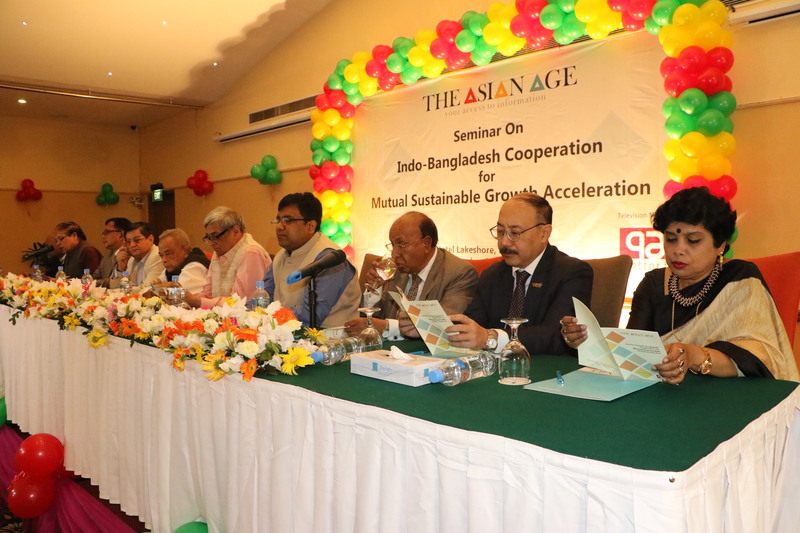 Dhaka, Bangladesh (BBN) – Bangladesh’s stocks slipped into the red on Wednesday, snapping a two-day gaining streak, as cautious investors opted for booking profit on bank and telecom stocks. Analysts said investors were mostly inactive and not confident enough to put in fresh funds, taking the market turnover below BDT 6.0 billion-level once again. The market started with a positive note and the key index of the major bourse rose nearly 26 points within first hour of trading, but rest of the session went down steadily, finally ended more than 20 points lower. On the other hand, the CAPSI – the key index of the port city bourse – shedded more than 88 points at closing. 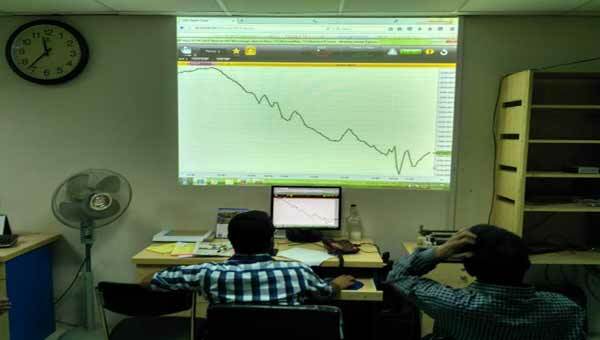 DSEX, the prime index of the Dhaka Stock Exchange (DSE), settled at 6,266, after shedding 20.45 points or 0.32 percent over the previous day. The two other indices also edged lower. The DS30 index comprising blue chips fell 6.58 points or 0.28 percent to close at 2,271. The Shariah Index (DSES) saw a fractional loss of 0.06 points to finish at 1,391. Turnover, the crucial indicator of the market, also fell nearly 10 percent on the major bourse and amounted to Tk 5.85 billion, from previous day’s BDT 6.48 billion. The losers took a modest lead over the gainers as out of 333 issues traded, 172 closed lower, 113 closed higher and 48 remained unchanged on the DSE trading floor. Square Pharmaceuticals topped the turnover chart with nearly 1.24 million shares of Tk 383 million changing hands, followed by Golden Harvest Agro Industries with Tk 183 million, BD Thai Aluminium Tk 165 million, Premier Cement Tk 157 million and Grameenphone Tk 134 million. CAPM BDBL Mutual One was the day’s best performer, posting a gain of 7.32 percent while Western Marine Shipyard was the day’s worst loser, plunging by 11.79 percent. 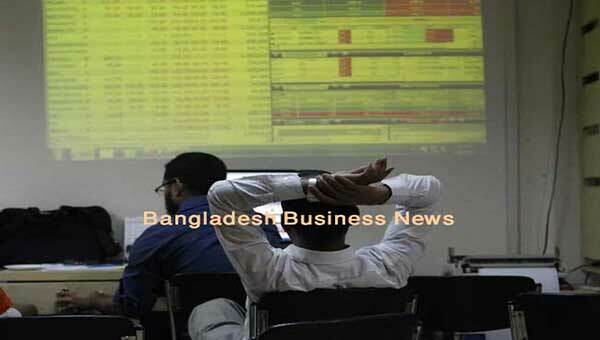 The port city bourse Chittagong Stock Exchange (CSE) also ended lower with CSE All Shares Price Index (CAPSI) of port city bourse – CAPSI – shedding more than 88 points to close at 19,380. The Selective Categories Index – CSCX – also fell more than 57 points to finish at 11,726. 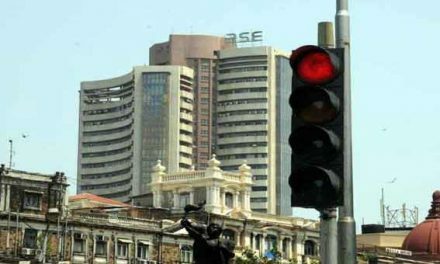 Losers beat gainers as 144 issues closed lower, 75 closed higher and 29 remained unchanged on the CSE. The port city bourse traded 8.86 million shares and mutual fund units worth more than BDT 275 million in turnover.